The Community Development and Knowledge Management for the Satoyama Initiative Programme (COMDEKS) was launched in 2011 to support local community activities that maintain and rebuild target production landscapes and seascapes, and to collect and disseminate knowledge and experiences from successful on-the-ground actions so that, if feasible, they can be adapted by other communities throughout the world to their specific conditions. The programme provides small-scale finance to local community organizations in developing countries to support sound biodiversity and ecosystem management as well as to develop or strengthen sustainable livelihood activities planned and executed by community members themselves. The target landscape for COMDEKS activities in Cameroon is the Bogo region, a district of 93,000 ha with a population of 95,230. Located at the northernmost tip of the country, the landscape encompasses the Sahelian zone of the Lake Chad Basin and the western foothills of the Mandara Mountains. The target landscape for COMDEKS activities in Cameroon is the Bogo region, a district of 93,000 ha with a population of 95,230. Located at the northernmost tip of the country, the landscape encompasses the Sahelian zone of the Lake Chad Basin and the western foothills of the Mandara Mountains. The Mayo Tsanaga river crosses the length of the Bogo landscape, which consists of a large plain dotted with hills in the southwest and northwest districts. The landscape of Bogo is characterized by a Sahelian climate with low rainfall (500-700 mm), high temperatures (28-35°C) and low humidity. The Bogo region is endowed with diverse natural resources and agricultural systems due to its rich alluvial soils (despite the Sahelian climate) and a cultural system conducive to tourism, which provides a solid foundation for economic activities and sustainable development. Bogo is a mosaic of picturesque landscapes, combining rolling hills, natural reforested areas, meadows, wetlands, ponds, small agroforestry plantations of mango and guava trees, as well as rural farmlands, pastures for livestock, nomadic pastoralism, and urban areas. The ability of the region’s alluvial soils to retain water during the dry seasons explains the abundance and diversity of plant and animal species, including cattle, sheep, goats, donkeys, horses, warthogs, and hyenas. The area’s rich birdlife includes egrets and African cormorants and is a potential draw for ecotourists. In the Mayo Tsanaga river plain, local fish species include catfish, tilapia, eel and carp, which are sold and consumed locally. As for local agriculture, people raise and consume a variety of cereals, such as sorghum, mouskwari, sesame, finger millet, maize, and rice. The economic welfare of Bogo is determined by highly variable and unpredictable rainfall patterns that characterize Sahelian climatology. The production of food and cotton (the major local cash crop and source of income), local pastoralism, and artisanal fishing all rely on the soil/water circulation pattern maintained by the system of perennial and ephemeral rivers (known as Mayos locally). The Bogo population depends to a significant extent on resources collected from the local environment. For example, species such as the Baobab (Adansonia digitata), Neem (Achzadirata indica) and Acacia (Acacia faidherbia) are used as firewood, building material for canoes, and as part of traditional medicine. In addition, the deeply ingrained cultural beliefs of inhabitants of this region have guided the conservation of biodiversity and the protection of sensitive ecological zones. The Bogo target area population comprises groups such as the Mousgoum, Moundang, Massa, Toupouri, Kotoko, Mbororos and Fulani. Only 22 percent of the population lives in urban areas, with the remaining population spread throughout rural communities in the region. 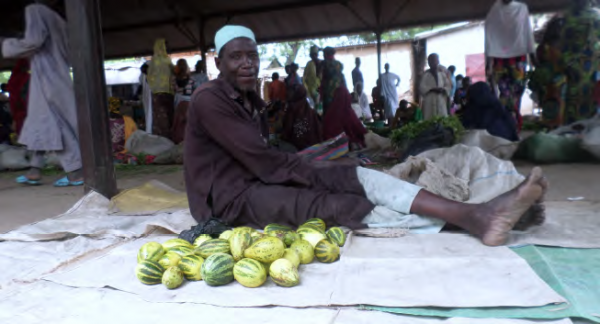 Agriculture, livestock rearing, and artisanal hunting and fishing are the primary economic activities of the region, and several products, including cassava, sweet potatoes, millet, livestock, and fish, are sold locally at low prices. Agriculture is practiced on clay and alluvial soils, sandy soils or loam soils. Infertile soils are abundant as well, and often used for pasture. Farmer-grazer conflicts are common, with the main source of tension being crop destruction as livestock cross croplands to reach nearby grazing areas or watering holes. More than half of the population lives below the national poverty line of US$1.30/day per adult, with average annual household incomes in the range of US$150-300. Local markets are not well integrated with urban markets and most economic activity is on a small scale, occurring outside the formal sector. Indeed, only 2 percent of household revenues are generated in the formal sector. Despite the region’s rich endowment of natural resources, local people are profoundly affected by the decline in agricultural productivity stemming from soil degradation and increased climate variability. In addition to this vulnerability, low levels of human development (63 of the populace are illiterate, and only 16 percent have education equivalent to secondary school or higher) create further setbacks for local communities. Food insecurity linked to climate variability and soil degradation. The low rainfall distribution has been coupled with an intensification of droughts over the past three decades. The sudden occurrence of these droughts causes crusting of soil surfaces and decreased soil fertility. During the rainy season, the sediment loads of rivers erode river banks, and destroy the quality of soil and surface water. In addition, the natural vegetation has disappeared from most cantons of Bogo and surface crusting due to old bushfires and expansion of pastures has further degraded soil quality. In conjunction with worsened climate conditions, this reduces the diversity of flora and fauna in the region and lowers agricultural productivity, leading to food insecurity. Unsustainable agriculture and forestry practices. Many factors have contributed to landscape destruction, soil erosion, and reduced agricultural yields. These include deforestation for the expansion of cultivated areas and fuel wood harvesting, exacerbated by population growth; lack of management plans for water systems and grassland ecosystems; ignorance of the importance of ecosystems; lack of training in sustainable agricultural practices; and lack of sustainable livelihood alternatives (including access to credit). Data from the Baseline Study show that chemical fertilizers given to people for cotton production are diverted to subsistence farming, and artisanal fishing remains active in streams that dry up quickly because the banks are not forested. Health problems. Various health issues stem from the lack of clean drinking water, drought, and the occurrence of extreme weather events. In the dry season, there are water shortages and wells do not always provide good water quality. Frequent flooding in the rainy season exacerbates the spread of waterborne diseases such as cholera and parasitic infections, while warm temperatures allow the spread of climate-sensitive diseases, such as malaria, meningitis, and measles. As a consequence, mortality rates in the region are high among infants, children, women and the elderly, with malaria deaths alone exceeding 300 per year. Weak administrative and institutional capacity to support conservation and production. Despite various ecological problems in the Bogo region, there are no explicit protection and management strategies for this landscape, although this landscape’s resources are highly valued and well understood in oral history tradition. Systems of governance to regulate the use of land for agriculture, biodiversity conservation, and environmental safety do not exist. In addition, there is little support to enable residents to improve their livelihoods, such as access to credit and capacity development for women. A landscape-wide Baseline Assessment was conducted in September and October 2013, based on community consultations in 8 out of 12 counties (called “cantons”) of Bogo. The assessment was organized and the consultations led by Global Mapping and Environmental Monitoring, a national NGO based in Yaoundé, Cameroon, that promotes environmental sustainability through local action and inclusive participation. A total of 330 people (including 214 men and 116 women, with an average of 28-40 people per district) scored the SEPL Resilience Indicator set to assess landscape conditions and trends. Consultation and participatory evaluations were conducted in compliance with social conventions of the region, holding separate workshops for men and women simultaneously in each canton. This process not only increased the participation of women in the planning process but also in the implementation of the strategy. Afterwards, focus group meetings were held with each Lawan (traditional authority in charge of a community) and Djaouros (neighborhood leader) to discuss the problems and challenges specific to the township, and to determine any need to adjust the SEPLS indicator scores based on observations and experiences of the community leaders. Finally, participatory mapping sessions were held with community members. The findings of the consultation process were then validated during a community hearing attended by more than 200 participants, involving all 12 canton representatives (women, men and youth), including local authorities (Lamido, or chiefs), as well as local government authorities (the mayor and the sub-divisional officer for Bogo). Based on the community consultations conducted during the baseline assessment, a baseline report and a Landscape Strategy were developed. The draft Landscape Strategy, along with a participatory map of the Bogo landscape, were presented to local community representatives and traditional authorities during a stakeholder workshop. The draft strategy was then amended based on comments and observations made by the local community representatives. The baseline assessment and community consultation process led to the development of a COMDEKS Country Programme Landscape Strategy for Cameroon, a comprehensive document that, based on priorities identified by landscape stakeholders, outlines the landscape profile, expected goals and outcomes, as well as key measures and strategies for community-based actions. To define this vision, the Landscape Strategy is built on four interrelated outcomes meant to increase landscape resilience in four critical areas. Table C-1 lists these landscape outcomes for the Bogo Region, along with the performance indicators that will be used to assess the extent to which these outcomes have been achieved. Improved protection of ecosystems (wildlife habitat, water pools, hydro systems and watersheds) through better management of land and water (water and soil conservation), mitigating and reversing the processes of erosion and desertification. · Surface area of natural ecosystems revitalized and restored. · Improved water retention: volume of water retained due to improved ecosystem management practices, such as forest restoration and erosion combatting activities. Strengthened agricultural and pastoral production systems with increased agro- biodiversity and landscape resilience through the promotion of sustainable agricultural practices. · Area (in ha) on which sustainable practices (e.g. quick set hedges and agroforestry) are applied. · Number and types of traditional varieties of plants and animals adapted to drought that are used in local agricultural and pastoral systems. Improvement of the livelihoods and well-being of communities through the development of sustainable income-generating activities based on local resources. • Increase in household incomes and household production. • Number and type of alternative sources of income created through diversification of livelihoods. Strengthened institutional capacity at the landscape level, including integrated participation of stakeholders in decision making, as well as the establishment of local organizations focused on the reduction of diseases endemic to the region. · Number of institutions (participatory governance mechanisms covering more than one community) created or strengthened by engagement in integrated landscape management. · Number of associations established for women and young people. · Number and types of relevant plans and decisions for the landscape target agreed and implemented. · Number of community members and women participating in decision-making. Restoring and protecting wetlands and watersheds and their associated ecosystem services. Managing water and water systems more effectively, and enhancing soil water retention and water conservation through appropriate infrastructure, such as water harvesting structures (digging individual wells, rainwater collection, and constructing entrapment areas to collect and use groundwater for small-scale irrigation). Supporting the diversification of agricultural landscapes through agroforestry and tree management on farms. Promoting diversification of production systems through the use of increased crop varieties, mixed farming, and multiple stages to restore soil and safeguard the integrity of the landscape. Promoting farming techniques with low inputs, creation of nurseries (with native and selected exotic species), installation of hedges around fields to protect crops against soil erosion, and use of crop varieties that can produce outside of the rainy season. Developing community agrobiodiversity initiatives such as seed banks of improved cereal varieties for livestock feed (e.g. wheat, bran, peanut and cottonseed). Processing of local foods—for example, local manufacture of cassava flour and tapioca from locally produced cassava tubers. Promoting innovations in processing of local milk production for cheese and “Kossam” (a fermented milk-based beverage from northern Cameroon with great symbolic and social value for the local population). Promoting the integration of all stakeholders in decision-making on the landscape, especially women and youth. Training at the community level focused on the management of local natural resources. Creating revolving funds to finance sustainable alternative livelihoods for women. Developing and promoting traditional medicine from local plants, such as Neem, whose leaves and seeds can be used in the treatment of malaria, amoebas, worms, and other ailments. With these guidelines in mind, seven local projects were selected for Cameroon’s portfolio of COMDEKS landscape interventions in the Bogo region (see Table C-2). The projects are spread among several communities within the target landscape, and each focuses on improving resilience of the area’s natural resources and communities. Develop and produce biofuels from agricultural waste to reduce the demand for fuel wood, which has substantially driven deforestation and loss of vegetation in Bogo. Raise the awareness of local communities on the environmental effects of the use of fossil fuels, charcoal and fuel wood. Train and empower women, youth and men in production of biofuels from agricultural (corn, millet, groundnuts) and household waste as well as in producing improved stoves that use the new biofuel. Create and strengthen a women’s cooperative and establish a women-managed biofuel processing unit. Local manufacture of biofuel production equipment will further increase incomes of local communities. Outcome 1, 2, 3, 4 Drill boreholes in three villages for provision of clean water and sanitation, using solar-powered pumps to ease water collection and simplify maintenance. Empower women through implementation of adult literacy programs. Construct drinking points for livestock to reduce conflicts between humans and animals at water points. Increase incomes and improve livelihoods by training community members in new agricultural practices, such as use of drought-tolerant crops (onions, moringa, etc.) and post-harvest processing techniques. Establish a Women-led Sustainable Development fund to help support income-generating activities for local women. US$28,192 Outcomes 1, 2, 3, 4 Rehabilitate two water ponds to facilitate easier water collection for the local community and to provide water for vegetable crops, fruit cultivation, and livestock, thereby diversifying income-generating activities. Reforest the community perimeter and reintroduce specific plant species usually found in the Sahel region (such as agave and aloe) to restore wetlands and increase their ability to recharge groundwater. Rehabilitate the Moussi pond to provide water for local people and their livestock as well as for cultivation of vegetables. Improving water conservation and local governance of water resources will improve the community’s access to clean water. Training in plant cultivation and reforestation initiatives will improve the ecosystem’s ability to recharge ground water. The project further supports income-generating activities, particularly for vulnerable groups in the local community, such as women and youth. Outcomes 1, 2, 3, 4 Promote agroforestry to diversify household livelihood options. Provide training in the manufacturing of improved cookstoves. Promote the adoption of biogas technology as a domestic energy source and the use of bio slurry as a fertilizer to improve agricultural productivity and reduce the use of chemical fertilizers. Establish demonstration plots and onion production farms led by women to develop local women’s capacities and generate additional income. US$31,960 Outcomes 1, 2, 3, 4 Promote soil conservation techniques, implement soil and water conservation measures, and strengthen the capacity of vulnerable groups (particularly women and youth) to obtain access to resources. The project builds the capacity of community members in rehabilitation of degraded land and improved agricultural techniques, while promoting the use of traditional knowledge of medicinal plants (traditional pharmacopeia) and improving stakeholder engagement in local environmental governance and decision-making. US$32,021 Outcomes 1, 2, 3, 4 Establish guidelines and regulations for sustainable natural resource management. Support organizations that lobby and advocate for joint management, capacity and skill-building, and logistics support. Facilitate communication among stakeholders about natural resource utilization, and improve stakeholder engagement. Build capacities of community leaders and local authorities in management of conflicts. Raising local environmental awareness: Awareness raising and environmental sensitization initiatives have been carried out in eight communities and attended by at least 500 local community members. Topics of the workshops have included issues of climate change, natural resource management, soil and water conservation techniques to prevent soil erosion, the use of drought-resistant plant and animal species, post-harvest conservation techniques, and organic agriculture, among others. Improving access to water: To improve drinking water access and quality, solar-powered boreholes were constructed in several communities to pump water from underground and lift it to an elevated storage reservoir. Water taps were then installed for community members, while drinking water points were established for livestoc The establishment of water points for livestock and boreholes for domestic consumption, as well as improved water conservation through the cleaning of water ponds, has reduced conflicts over water and improved drinking water quality. Increased water availability in the dry season has also made it possible to practice off-season agriculture of local vegetable varieties as an income-generation activity for women and youth. The fact that borehole pumps and filtering systems are solar energy-powered ensures their sustained use in the future. In addition, a multi-stakeholder water management committee has been established to attend to the maintenance and management of the new water systems. The elected seven-member committee is made up of three women, three men and a youth. It has been trained in water management, purification, hygiene, and maintenance of water systems in case of damage, and has conducted community trainings to pass on this knowledge to other community members. Overall, this water access project has had such a positive impact on community livelihoods that the government is now promoting its upscaling and replication in other dryland areas of Northern Cameroon. Promoting sustainable crop and fruit cultivation: Community nurseries have been established for the production of fruit tree seedlings that will increase community fruit production and sources of income. The planting of 1,500 fruit trees (including mangoes) and other local drought-tolerant species in the target landscape has helped to restore local vegetation and improve the microclimate. Training on agroforestry techniques and improved agricultural practices has caused farmers to rethink their practices and has resulted in more than 350 community members converting to more sustainable agricultural methods, including use of animal dung and kitchen waste for fertilization. Community members are now convinced that high yields can be obtained using organic manure. Manufacturing biofuels, reducing wood fuel use, and empowering women: A biofuel production unit has been established, managed by local women. At the facility, more than 120 women have been trained in the production of biofuel pellets using agricultural waste. Men function as technicians and take care of tasks requiring physical strength. In addition, women manufacture improved cooking stoves capable of burning the biofuel pellets. The stoves are made from local materials. More than 100 of these energy-efficient stoves have been distributed to households, helping them reduce their use of wood fuels. Other sources of sustainable energy such as biogas have also been promoted locally. Similar to stove manufacturing, community members have been trained in the construction of biodigesters. The bio-slurry that these digesters produce is now used as manure for the cultivation of vegetables. Restoring forests and degraded lands: More than 1,300 fruit trees and nitrogen-fixing trees have been produced and planted by farmers as part of their reforestation efforts. Community members have also been trained in soil and water conservation measures to rehabilitate degraded land. This work has resulted in the restoration of 20 ha of degraded land to active agriculture. In addition, six villages have agreed to form a community forest of about 3,962 ha and to employ sustainable natural resource management practices there. These communities are now going through the process of applying for legal recognition of this community forest by the Ministry of Forest and Wildlife. When its legal status is secured, it is expected that the community will be better empowered to initiate and implement forest conservation activities to ensure equitable and sustainable benefits from the forest for the entire community. Introducing climate change-resistant crop varieties: About 100 women, 50 men, and 50 youths have received training in the cultivation of two new onion varieties that are resistant to climate change effects. Training has also been conducted on the construction of improved racks for drying and conserving onions. Other climate change-resistant crops have also been introduced into local agriculture, including new varieties of sorghum, beans, okra, moringas, and folere. COMDEKS activities have been instrumental in increasing agricultural yields for some key crops. For example, sorghum production has increased almost 80 percent, and onion production has risen 60 percent. Providing access to finance and improving basic literacy: A revolving fund was established for community groups to improve their standard of living by providing them financing for sustainable income-generating activities. Through the loans made by the revolving fund, women have been economically empowered to establish small enterprises. The income obtained has allowed the women involved to contribute to their families’ health and education expenses. Adult literacy programs have also added to the empowerment of women and youth and have been important in helping women to legally register their Common Initiative Groups (CIG), which are local organizations formed to pursue a business or community activity. Improving stakeholder engagement in environmental governance: COMDEKS activities in Bogo prompted the creation of new community advisory groups to give local people a direct voice in environmental management. In many communities, Environment Committees (including youth and women) have been established and trained in forestry law, techniques of rural organizing and environmental education (to support schools interested in environmental education). Similarly, in villages with existing Community Development Committees, these groups were strengthened by creating subcommittees directed toward natural resources management. In the case of some COMDEKS community projects, local people established a Management Committee that included men, women and youth of the affected community to ensure community ownership of the project by providing oversight and allowing direct input into the project management by community members. Communities in the Bogo landscape have begun to develop a greater awareness of and involvement in environmental governance. This is evident in the establishment of environment committees and project management committees to allow community members an avenue to weigh in on local environmental management decisions at the village level. At the same time, collaboration among six villages to establish a community forest and agree on by-laws for forest management shows the beginning of a concern for environmental governance beyond the village level. Similarly, the establishment of a seven-member committee to oversee water access projects shows awareness of the connectivity between landscape projects. Also, there has been wide participation by and support of the COMDEKS landscape activities by both traditional authorities and government institutions. Some 70 traditional authorities (including the Paramount Chief and County Chiefs) are directly involved in landscape activities, as well as the local mayor and local council members, and representatives of the Ministry of Agriculture and Rural Development, the Ministry of Forests and Wildlife, and the Ministry of Women and Family Affairs. While these are hopeful signs of the development of a landscape ethic in the Bogo region, no landscape-wide group or forum has yet been officially established to share landscape concerns or project experiences on a regular basis. During the Baseline Assessment, the questions and the descriptions in the Resilience Indicator set were not always readily understandable to the Assessment participants. Thus, workshop leaders and community hearings to provide local examples were crucial to guide understanding and ownership of these ideas and concepts by people participating in the Assessment. In addition, the local language was used for the duration of the workshops and community consultations. Use of the Resilience Indicators in the Baseline Assessment has influenced the way people perceive women’s capacities with regard to the use and management of natural resources, and has helped them embrace a less limited role for women. 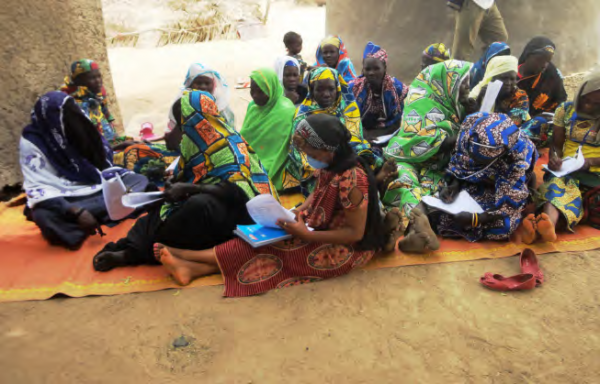 After interpretation of results from the baseline assessment, women desired support for their greater involvement and empowerment in community revitalization efforts—for example, women wanted to help in the management of agricultural techniques, in literacy efforts, and in the creation of community governance systems for sustainable development. Today, landscape communities are ready to accept women’s skills, as well as other innovations they might have resisted before, such as the introduction of new crops (e.g. soybeans, moringa, and vegetable crops), and the establishment of hedgerows around crops and water points. Using local experiences, stories related to life among communities and examples from other regions, it was possible to alter the perception of various stakeholders and even the importance they assign to various efforts. For example, more people now view reforestation as crucial to the region along with the issue of improving food granaries. In community mobilization efforts, it is important that people are well informed and made aware of the scope and interest of a project. They are then willing to make the necessary sacrifices. However, in this region the mobilization must be led by the district chief or Lawan in order to comply with the accepted hierarchy of local authorities. The ownership shown by the community for projects they are involved in from the design to implementation is a key to success. Local community members and leaders widely expressed their interest in ownership of COMDEKS projects. To create this sense of local ownership of projects for the preservation of biodiversity and the spread of sustainable production techniques, inclusion of traditional cultural knowledge and experiences is essential. For example, soil and water conservation measures incorporating traditional knowledge of community elders have been effective as a landscape restoration approach, involving different community groups in the implementation process. Community consultations during the baseline assessment were held separately for men and women, as some men do not express their views in the presence of women and vice versa. However, the synchronization session or community hearing bringing together men, women and youth was very illustrative. Indeed, the ability to bring together men, women, youth, elderly and traditional leaders to exchange calmly on topics of community interest facilitates understanding within and between generations and solidifies community ownership of the subject under discussion and the resulting projects. Although men will readily participate in the implementation of COMDEKS projects, membership for women requires active support and empowerment in a society where women have long been marginalized. It is also important that most projects involving women are led by women. Security issues can be a serious impediment to community-led projects. 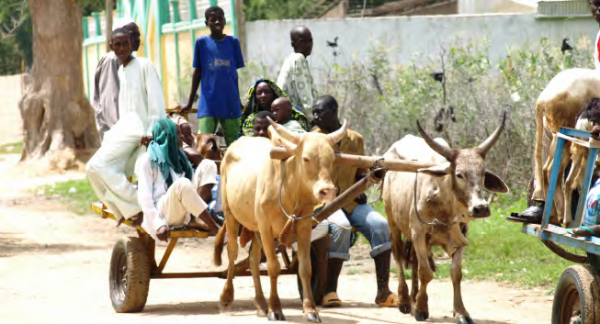 In the Bogo area, insecurity created by recurrent attacks from the insurgent group Boko Haram has led the local government to prohibit gatherings and meetings, which has slowed implementation of landscape project activities. Increasing the number of CBOs in the Bogo landscape would allow the SGP/COMDEKS country team to more efficiently implement COMDEKS in Cameroon, including launching the community projects and organizing a training workshop for the grantees, as well as conducting the M&E and final evaluation of each community project.